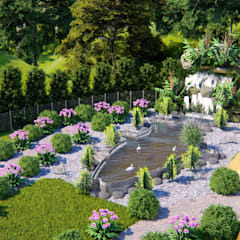 What is a garden pond and how can you make one? 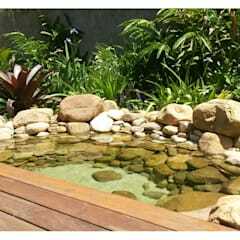 A garden pond is any self-contained water feature that not only provides a delightful focal point for a yard or garden, but also a habitat for plants and wildlife like birds, butterflies, dragonflies and frogs. 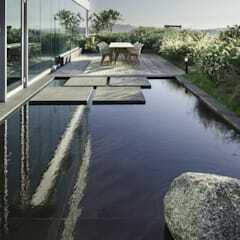 In fact, there are very few landscape architects that won’t recommend adding in a stunning garden pond. 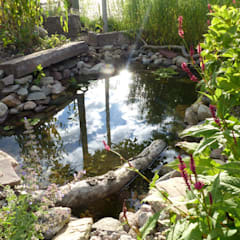 When building your own pond, keep in mind that there’s no need for precise measurements – it can be as small or large as you wish, depending on the size of your garden. 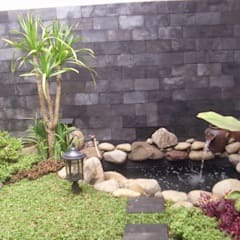 A basic pond consists of a good-quality liner, a high-efficiency pump, and lots of stone and gravel. If you wish to spend a bit more, a filtration system can be quite convenient and will also reduce your weekly maintenance chores. 1. Mark out the area for your pond. Before digging, first lay on the ground the water circulation pipe that links the pump to the waterfall (if you choose to have one).Throw the excavated soil on top of it, which will save you the work of digging a trench to bury the pipe. 2. 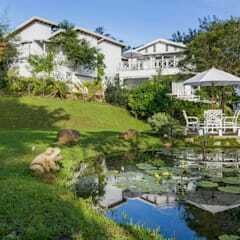 Dig out the pond bed, terracing both shallow and deeper areas for plants. Exposed rocks, tree roots and anything else that might puncture the liner must be removed from the hole. 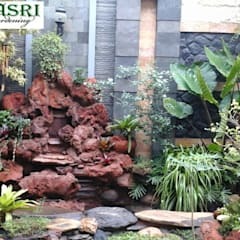 You may use the excavated dirt around your pond or build up your waterfall area. 3. 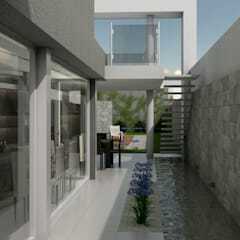 Place the layer over the terraced area. Walk on the liner only when you have to and while wearing soft-soled shoes. Buy a single sheet of liner that is large enough to cover the entire pond (bottom and sides) and spread the liner loosely inside the pond; don’t stretch it tight. 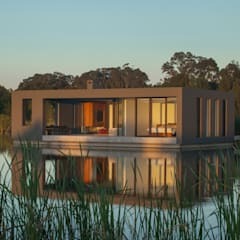 To determine the size of liner that you need, calculate the dimensions of the liner by measuring the maximum length and the maximum width of your pond, then add three times the depth measurement to each dimension. It can rather be a bit big than a bit small. 4. Line the pond sides with rocks and put in the pump container. 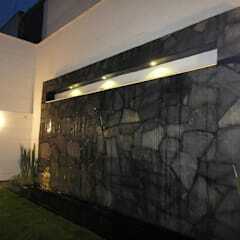 Wash down the rocks after placing them and empty the pond with your pump. For large rocks, lay a scrap piece of liner slightly smaller than the rock on top of the pond liner before positioning the rock to prevent punctures. 5. 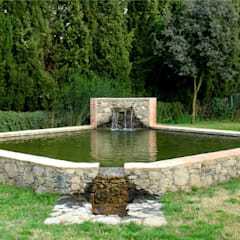 When buying a pump, you must provide the size of your pond to ensure you get the right one to handle the water flow. Also remember to specify if the pond is going to have fish or not, as a filtration system may be necessary. It's important for water to circulate and aerate throughout the pond. 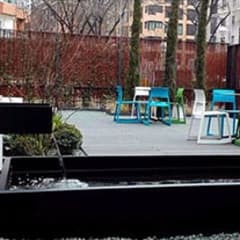 Buying an inexpensive fountain head and connecting it to the end of the water circulation pipe is the easiest way to accomplish this. 6. 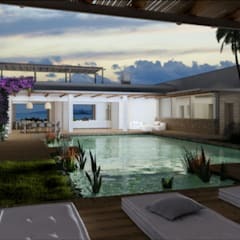 To take your project from ‘hole filled with water’ to ‘water garden’, add some beautiful water features like flowers and plants. Note: Don’t use standard potting soil in your pond, as the high nutrient content encourages algae growth. 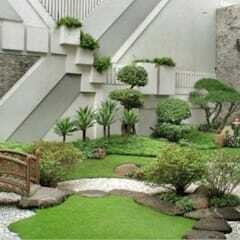 Ordinary garden soil is ideal. 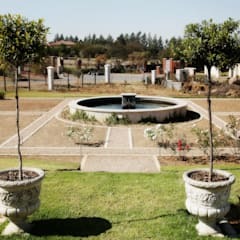 Regardless of whether you choose to place your pond in your front yard or back garden, you should keep the importance of shade in mind – a full day of the South African sun beating down on that pond will encourage the growth of algae, burn exposed parts of water plants and be harmful to frogs and fish. Partial shade, or morning- or afternoon sun only, is the best bet. 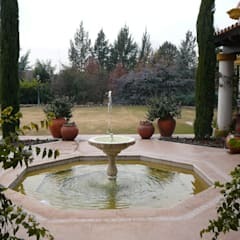 Check in which direction the water would naturally flow and place your pond accordingly to make it look as natural as possible. Look out for tree roots or other underground obstacles such as water pipes and electricity cables before digging. 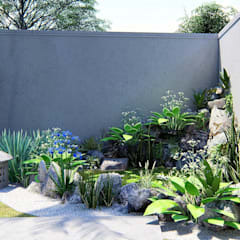 If the aim is to attract wildlife, place your pond in a quiet corner of your garden. And safety first: Secure your pond properly if you have children! 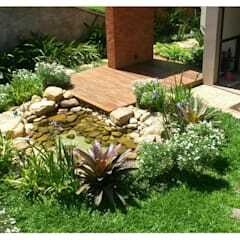 Wait a week for the chemicals in the tap water to neutralise before adding plants or fish to your pond. 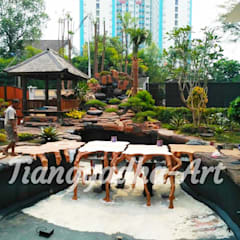 You need to maintain a good balance between floating plants (to prevent algae from spreading and protect fish from sunlight) and oxygenating grasses. Unless you have a natural earth-bottom pond where they can take root (with the exception of floaters), plants should be placed in pots. Water lilies are iconic pond plants and are available in many species. They require deeper water (about 30cm above the root) and good spacing, as their foliage spreads. · Nymphaea Capensis (Cape Blue Water Lily). Which fish are the right ones for a pond? 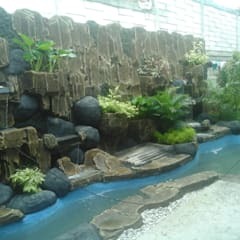 Adding fish to your garden pond immediately transforms it into a fish pond or (if you choose Koi) Koi pond, which is a fantastic garden feature. 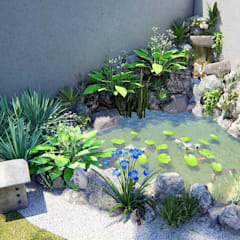 But keep in mind that your pond must, in parts, be at least 30cm deep if you plan to add fish to it. Fish are ideal for adding beauty, colour and interest to a garden, but they have other advantages too, like eating mosquitoes and pond algae. Comet goldfish, Shubunkin goldfish (aka calico goldfish) and Koi are some of the best ones to consider. Whichever type of fish you pick, be sure that you get ones that will cohabitate well and are durable (like the aforementioned types). And never stick too many fish in a pond that’s too small. Note: Avoid fantail varieties, as they are not quite as durable as other types of goldfish. · Change your filter regularly. 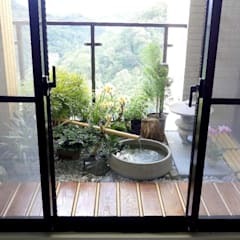 · Check that the water level remains steady. 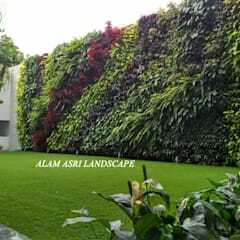 · Regularly remove fallen leaves and other garden debris. · Take care of any algae build-ups. · Feed your fish often. 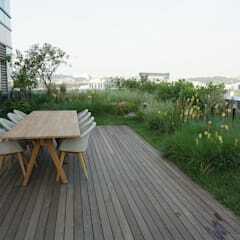 · Remove any delicate plants in winter and return them come spring time.